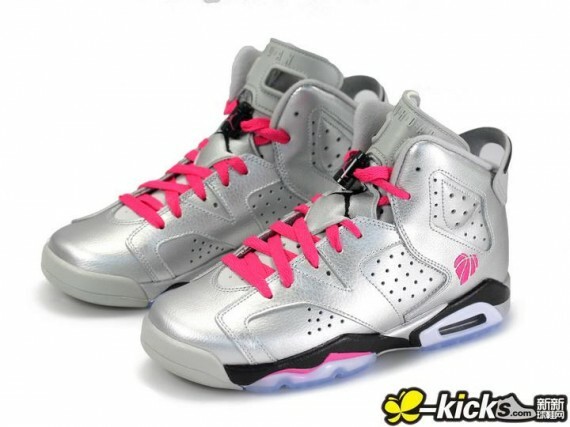 The Jordan Brand continues their tradition of celebrating Valentine's Day with an all new Air Jordan 6 Retro GS for 2014. 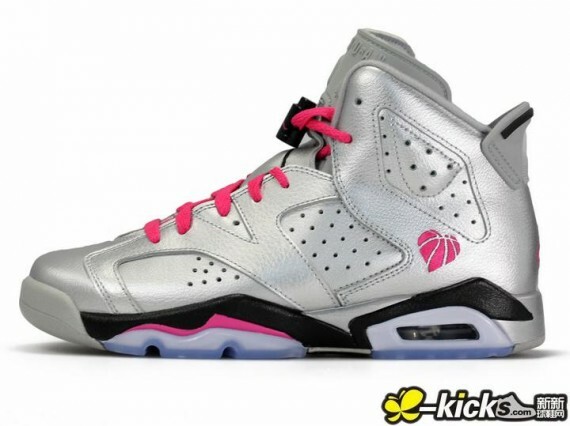 Set to release next month, the Jordan Brand went all the way flashy on these with a full metallic silver upper. 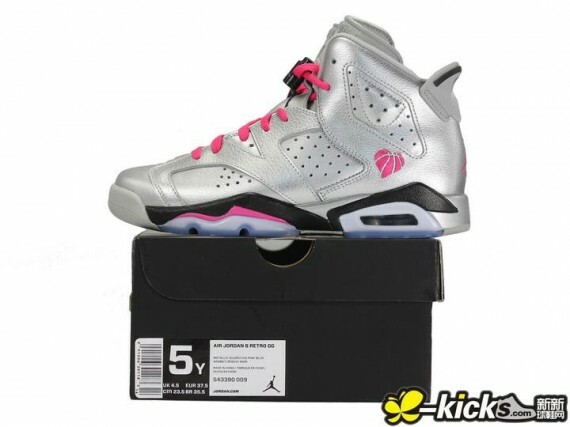 The silver-covered Air Jordan 6 for the ladies is topped with pink laces to match the heart-shaped basketball logos on the heel, while black hits the tongue and parts of the midsole below. 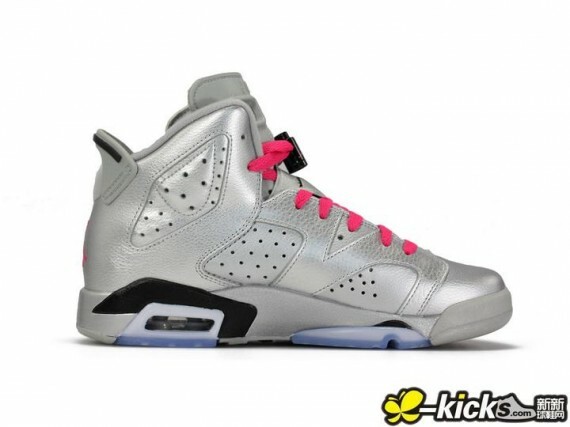 The Valentine's Day Air Jordan 6 Retro is set to release February 8th at select Jordan Brand accounts nationwide.